Sellers do not have a legal duty to disclose much information about a residential property to a prospective buyer in Massachusetts. However, under Massachusetts General Laws Chapter 112 Section 87YY, real estate brokers and salespersons must distribute a home inspection brochure to a buyer at the time the first contract is signed. Brokers cannot directly recommend a home inspector. A broker must disclose any facts that would influence the buyer or prospective buyer not to enter into a transaction. Whether you are a buyer or a seller of a Boston residential property, the real estate attorneys at Pulgini & Norton can help protect your interests and pursue your goals. Since a home is a major investment and there are few safeguards for buyers, you may want to obtain an independent home inspection. You should find out whether there are any serious structural or environmental defects before closing the deal. This usually can be accomplished by retaining a home inspector and other inspectors as necessary. The elements of the home that must be observed and reported by the home inspector are listed at 266 C.M.R. § 6.00. There are limits to home inspections, which are visual, rather than technically exhaustive. Home inspectors are not required to report on the cause of a repair that is needed, cosmetic items, items that are not readily accessible or are underground, radon, energy efficiency, toxins or allergens or other microorganisms, or surface soil conditions. An inspector may be able to identify visible defects, but sometimes there are structural defects not visible at the time of inspection. If a structural defect is suspected, it may be advisable to retain a licensed structural engineer to take a look. Similarly, mold can be difficult to inspect, but a home inspector can detect water penetration, which is a necessary condition for mold to proliferate. If you suspect there may be mold, you can ask the seller if your inspector can drill a small exploratory hole to see if there is a mold presence. Home inspectors are usually qualified to perform inspections for pests. In Massachusetts, a seller or broker of a home that was built before 1978 must provide the prospective buyer a notification package under the Massachusetts Lead Law. Moreover, sellers and agents must disclose any lead paint hazards and give copies related to the lead paint status to the buyer. A buyer has a 10-day contingency period from the date he or she receives a property transfer notification to retain a lead paint inspector. A standard Offer to Purchase form includes contingencies related to inspections. Unless another period is negotiated, a buyer has between five and 10 days to complete a home inspection. If a home inspection reveals a defect or problem that requires repair, the buyer and seller may be able to negotiate who will do the repairs during the inspection period. The agreement about repairs will be incorporated into the purchase and sale agreement or another contract. Massachusetts requires home inspectors to be licensed through the Board of Registration of Home Inspectors. The Board ensures that licensed home inspectors are properly trained and meet minimum inspection requirements when they perform inspections. Licensed home inspectors must carry a minimum of $250,000 in insurance so that a consumer can recover any losses sustained because of an inspector's mistake. Generally, whether the buyer or the seller does the repairs, it is important for them to be performed by licensed contractors. The party responsible for the repairs must provide evidence they were completed before closing. In general, if repairs are at issue, the lender's underwriters may want to conduct their own property inspection. However, in case the repairs cannot be completed or there is no possible repair, it is possible to agree in advance that the buyer can provide notice and a copy of the inspection report to that effect in order to get the buyer's deposit back. 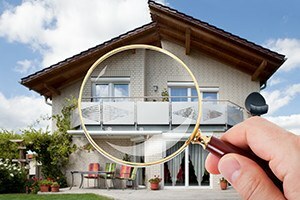 Home inspections and what they uncover can present complicated challenges. It may be helpful to have the advice of an experienced Boston lawyer to get tips for buyers when you are proceeding through a property transaction. The attorneys at Pulgini & Norton represent clients in communities such as Brookline, Malden, and Somerville. Call us at 781-843-2200 or contact us online for a consultation.